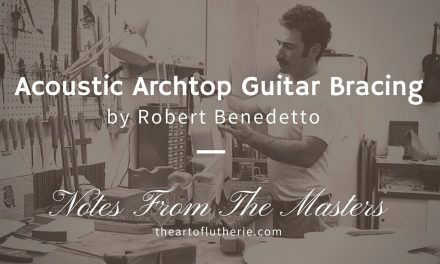 If you’ve read my book “The Art Of Lutherie” published by Mel Bay Music, you might recall the section in which I explained these concepts and even demonstrated some of them in the included DVD part of that set. The rim of the guitar sides is just like the rim of a drum. The stiffness at that point, density of material there, and the shape of the linings themselves all play into this equation. The best way I know of to explain this part of the guitar system is to use an analogy of a diving board. The diving board is two main parts, the board, and the base. 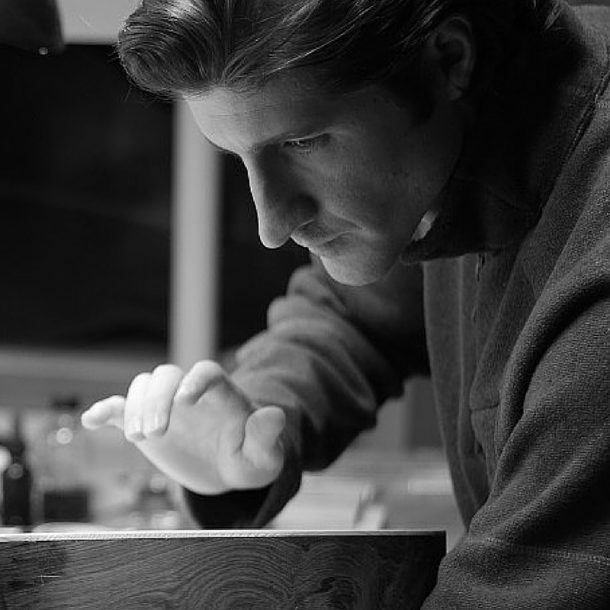 The base is there to support the board and also designed to enhance the desired performance of the board. The shape of the board is also a big part of the equation as well, but for now we will be focusing on the base since it is analogous to the guitar linings. 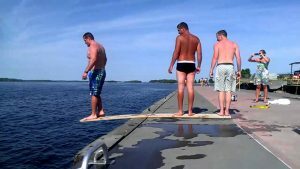 The best diving board in the world, if mounted to a weak or flimsy base, will not function properly or at least won’t reach its fullest potential because much of the energy loaded into its system ( which, in this case, is a result a person jumping on it ) will be raised on the weakness or poor design of the inferior base. On the other hand if the base is solid and well constructed and anchored in place tightly, even an average diving board will function well. This is because the base is strong enough to keep the energy that is loaded into the diving board where it belongs; in the board. A strong (stiff & dense) base acts as an energy dam and prevents much of the energy from leaking down into itself where it wouldn’t be as useful to perform the desired result of the system which, in this case, is to spring the diver up into the air in just the right way. The guitar top is similar to the diving board itself. We load it with energy from the motion of the bridge (which was set in motion by the strings – detailed video explanation – Click Here). 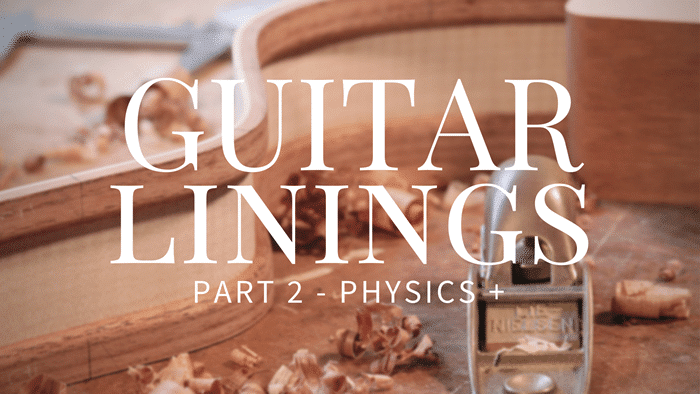 The guitar as a system is set up so that ideally, the string energy is converted as efficiently as possible into audible sound and at the same time that sound is filtered or EQ’d by the luthier’s choices to result in the desired tone quality. 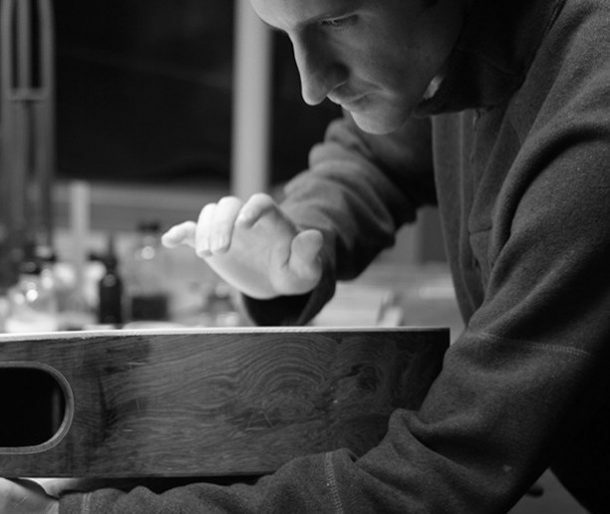 Much like the base of the diving board we discussed, the guitar linings are the base of the soundboard (guitar top). 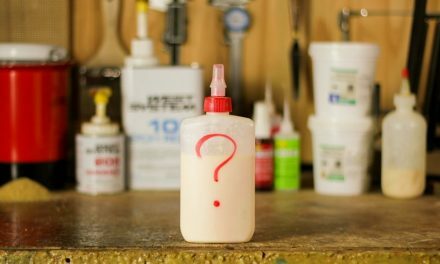 If the base is weak, then it allows for more energy to leak into the sides where it doesn’t produce much sound and is mostly wasted. If the base is strong ( by strong I mean stiff and with greater density than the top material ) then it works as an effective energy dam and keeps more vibrational energy in the top so it can do what it does best and convert it into sound, both radiating off the face of the guitar and also pressurizing the inside of the sound-box, thus interacting with the back plate and other components of the guitar. Based on my experiments, a guitar with a strong lining will usually have greater responsiveness. In other words, it will react more efficiently and respond more dynamically to a lighter touch on the strings. 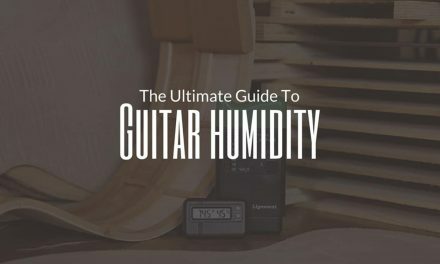 It will usually have more sustain, and also more volume and dynamics, because it’s simply more efficient in the way it is processing the limited amount of energy that is input into its system when the strings are set in motion. Another aspect here is involving the amount of tension exerted on the soundboard by the strings. The string tension for a steel string is around 130 lbs or more. It wants to distort the top and also as the pull force extends along the top it eventually focuses on the perimeters and tries to change the shape of the guitar. 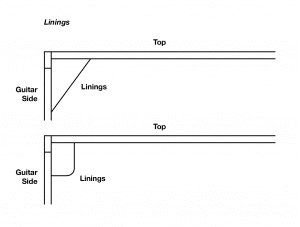 If the sides are weak because of the linings, such as tentallones or regular kerfed style linings, then the responsibility for holding the sides in shape is left to the soundboard. This reduces its ability to do its real job which is to convert vibrational energy into audible sound. If a reverse kerf lining is used it will add strength to the guitar sides and perimeter of the soundboard. The soundboard is now more free of the duties of holding the shape of the guitar and can work more efficiently on producing sound. If solid linings are used then the sides become very strong and denser too. This further frees the soundboard and enhances its efficiency to process the string energy in a much more effective way with less vibrational string energy leaking into the sides. So Which Guitar Lining Is The Best? 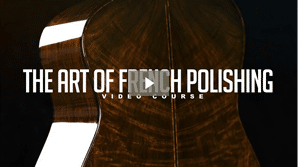 Well this brings us back full circle to where I began my explanation on the topic, and I guess where I begin my discussion on many lutherie related topics; you just have to try it to find out which is best for you. I started with tentallones and built many guitars in the Spanish style, face down on a solera. Then I moved to triangle kerfing and then quickly to the reverse kerfing. All the while studying the differences in each guitar and comparing my observations and notes. 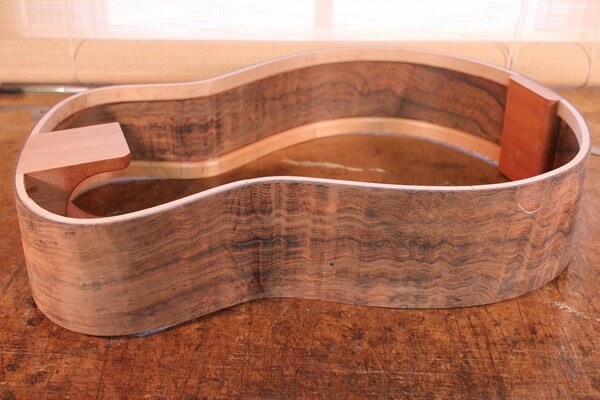 I then moved on to solid linings, and for me the move to solid linings was a big jump in the quality of my guitars. I also found that it fit well in my building style and was just a perfect match for me all around. That’s what you want to look for, the things that make your guitars better and that make your day in the workshop better too, a win win. Over the years, I tweaked my methods of making and installing the solid linings as well as my preferences of wood types etc. in order to reach where I am today which is producing wonderful results and is fun and rewarding to build too. 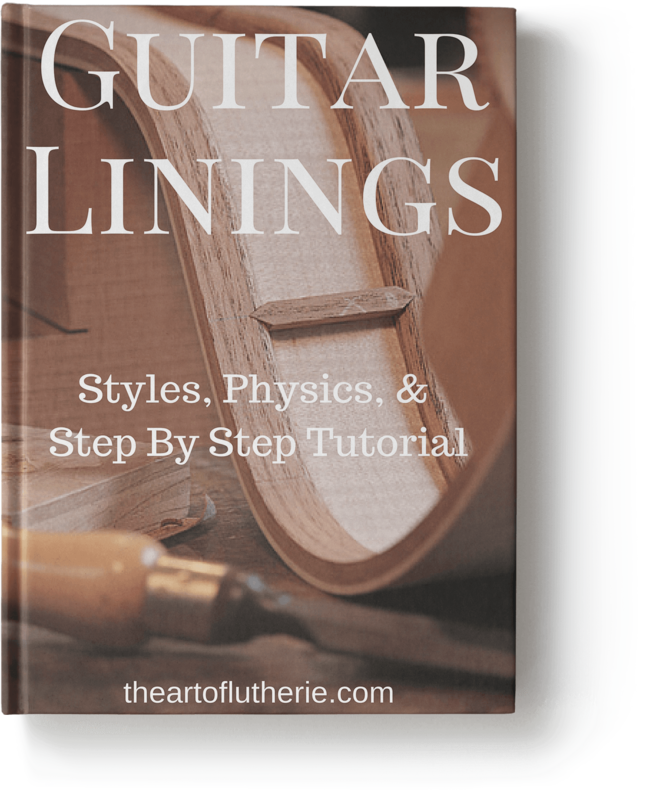 If you feel that trying solid linings for your next guitar might be the right way to go, then you’ll greatly benefit from this special highly detailed tutorial in which I share my process that I use on all my guitars step by step. Luthier’s EDGE members just need to sign in and a link will appear here to the exclusive online tutorial. Luthier’s EDGE members also have the option to download the eBook version if preferred from the eBook library within the members area.